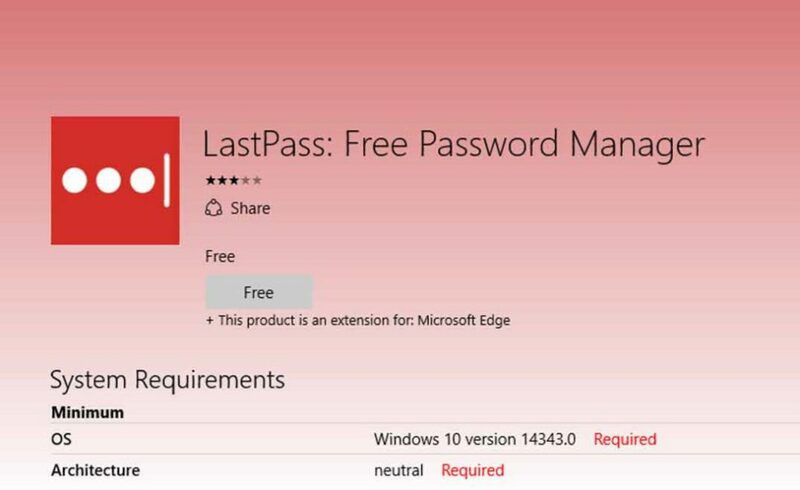 LastPass released extension for Microsoft Edge web browser. The extension is currently available only for insiders using latest Windows 10 insider preview build 14352. In last few weeks Microsoft has released Edge Extensions for AdBlock, Office Online, Save to Pocket, and more. LastPass extension for Edge is ported from Google Chrome extension. That means most of the LastPass Google Chrome extension features are coming to LastPass extension for Edge. New password security extension allows users to save and use passwords for multiple websites. Features include automatically fill login forms, passwords are encrypted, password synchronized with the other browsers and more. LastPass is an extension is available on Internet Explorer, Firefox, Safari, Opera and Chrome browsers. Microsoft will release Microsoft Edge Extensions with the Windows 10 Anniversary Update.